One Dead, 6 Injured After Fire Breaks Out in Trump TowerThe four-alarm fire started in an apartment on the 50th floor. Austin Bombing Suspect Explodes As SWAT Team Closes InThe 24-year-old white, male suspect reportedly killed himself with an explosive device while fleeing from authorities. 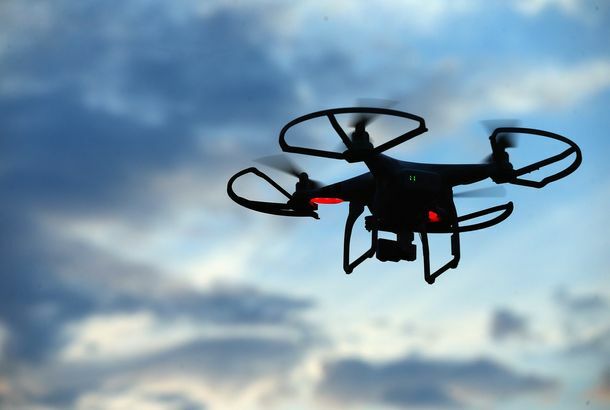 4th Explosion in Austin Leaves Two Men Seriously InjuredPolice believe it’s connected to the package bombings that killed two people in Austin earlier this month, but this blast involved a trip wire. Trump Says U.S. Could Cut Off Trade With China After North Korean Nuclear TestFor the first time, the country has tested a bomb that exceeds the destructive power of the ones dropped on Japan during World War II. U.S. Investment Banker Denies He Shoved London Woman in Front of BusThe private-equity partner was arrested for the shocking crime captured on security video. FBI Searches for Suspects After Bombing of Minnesota MosqueNo one was injured in the Saturday-morning blast, which may have been a domestic terrorist attack. North Korea Can Now Strike L.A., But Trump’s Foreign Policy Is Still M.I.A.The White House isn’t instilling much confidence in its plan for handling the ever-escalating North Korea crisis. Gunman Opens Fire at Bronx Hospital, Killing OneThe suspect was reportedly a former employee and physician at the hospital. 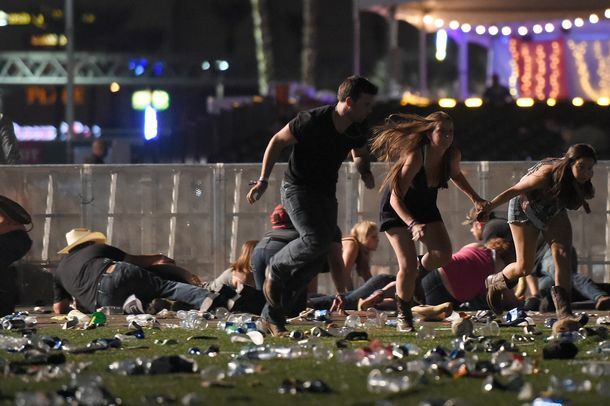 He killed at least one person before turning the gun on himself. Man Reportedly Wearing Suicide Vest Shot in Brussels Train StationBrussels’s Central Station has been evacuated, and police say the situation is under control. Car Reportedly Rams Into Police Vehicle Near Champs-Élysées in ParisThe suspect is reportedly dead, but no cops or bystanders were harmed. At Least 4 Dead, Including Gunman, in Shooting at UPS Facility in San FranciscoThe suspect, who killed himself at the scene, may have been a UPS employee. 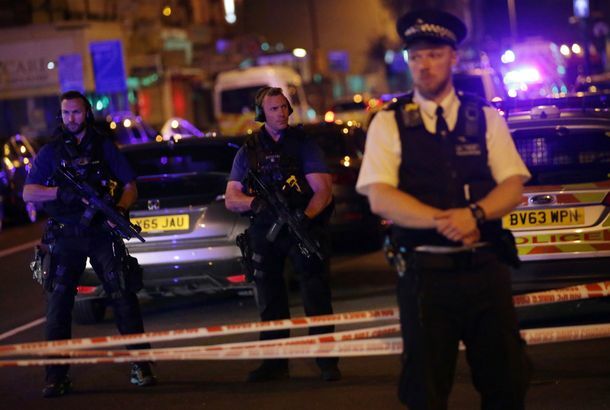 ISIS Claims Responsibility for London Terrorist AttackThe group’s level of involvement remains unclear, but Prime Minister Theresa May said there’s been “far too much tolerance for extremism” in Britain. Gunman Open Fires in Manila ResortPresident Trump falsely indicated that it was a terror attack, but the Philippines police chief believes robbery is the real motive. North Korea Conducts Missile Test, Threatens to Send U.S. a ‘Package of Gifts’Pyongyang released images of the launch and claims this missile is equipped with new precision technology. 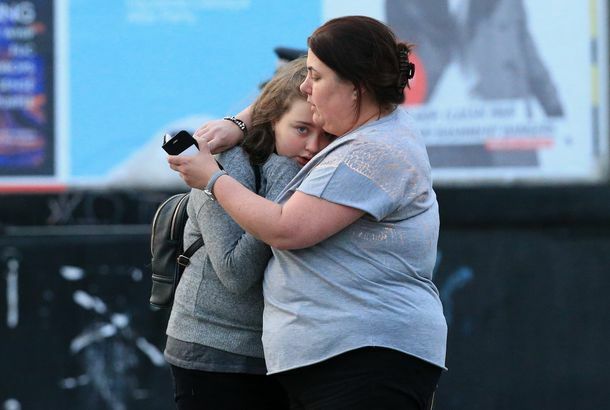 What We Know About the Manchester Concert BombingISIS has claimed responsibility for the bombing that killed at least 22 people at an Ariana Grande concert in a Manchester concert arena. Malia Obama’s ‘Longtime Stalker’ Reported to PoliceA 30-year-old man has been following the former First Daughter around New York. Manhunt Under Way for Suspect Who Posted Video of Fatal Shooting on FacebookThe search for Steve Stephens, who is accused of randomly targeting an elderly man, has expanded to five states. Kushner Hires Horror-Film Publicist to Run PR for His New White House OfficeSounds like the right guy for the job. 4 Dead, Including Suspect, in Terror Attack Near U.K. ParliamentAn assailant was shot by police after stabbing an officer, and people were run over by a car on Westminster Bridge. 188,000 in California Ordered to Evacuate Over Potential Dam System FailureDamage to a spillway at the Oroville Dam is threatening to flood the surrounding area. Fort Lauderdale Shooter Planned to Come to NYC on New Year’s Eve: ReportAuthorities speculate he may have changed his plans because of high security. At Least 5 Shot Dead at Fort Lauderdale AirportThe gunman reportedly had a weapon in his checked luggage, which he loaded in the bathroom before firing near the baggage claim. More Than 100 Injured After LIRR Train Derails at Atlantic Terminal, BrooklynThe worst of the injuries is reportedly a broken leg. Trump Tweets That North Korea Won’t Develop the Ability to Nuke U.S., So RelaxHe’s confident that “It won’t happen!” though it’s unclear why. A Bag of Toys Prompted Today’s Evacuation of Trump TowerTrump himself is still at his estate in Florida. Zurich Gunman Who Injured 3 at Mosque May Have Had ‘Interest in the Occult’The attacker was found dead of an apparent suicide. Truck Rams Into Crowd at Christmas Market in Berlin in Likely AttackAt least nine people are dead and dozens more are injured. Russian Ambassador to Turkey Is Fatally ShotThe lone gunman was reportedly an off-duty police officer. Trump Supporter Cites Japanese Internment Camps As Precedent for Muslim Registry“That’s the kind of stuff that gets people scared,” said Megyn Kelly. One NYPD Officer Killed, Another Wounded After Shooting in the BronxThe suspect was also fatally shot during a gun fight. 5 Female Directors on Why They Love HorrorEveryone wants to be the final girl. 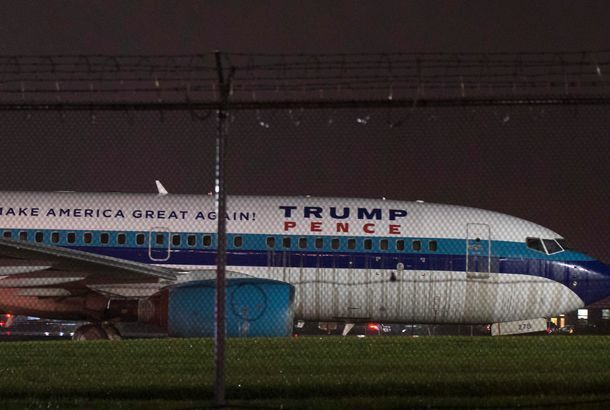 Mike Pence’s Plane Skids Off the Runway at La Guardia AirportNo one was injured, but the plane came close to Grand Central Parkway. Republican Party Office Firebombed in North Carolina“Nazi Republicans get out of town or else” was also spray-painted on the side of an adjacent building. Man Reportedly Stabbed at Times Square Subway StationTwo men were reportedly arguing on the trip uptown. Delayed Technology Upgrade Might Have Prevented Hoboken Train WreckAll U.S. passenger trains are required to install positive train control software by the end of 2018. Utah Man May Have Been Infected With Zika After Wiping Away Dying Father’s TearsA very weird case. One Killed, More Than 100 Injured After N.J. 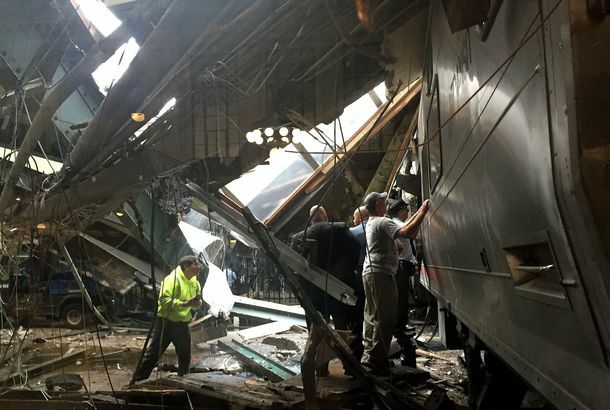 Train Crashes Into Hoboken StationInvestigators do not yet know the cause of the crash. Motive in Washington Mall Shooting That Killed 5 Remains UnclearArcan Cetin, 20, will be arraigned on Monday. Chelsea Bombing Suspect Charged With Attempted Murder of Police OfficersAhmad Khan Rahami, a 28-year-old U.S. citizen of Afghan descent, was wounded by police.